In 2003, after a long standing interest in wine, Claire began to study for the WSET Advanced Certificate at WSET School, London. Having thoroughly enjoyed the course and with a view to a career change, she progressed to the Diploma which was completed in early 2005. On moving to Scotland, Claire left a 10 year career as a Pharmaceutical Research Scientist at GlaxoSmithKline (GSK) to set up Case Studies Wine School. The School is based between Glasgow and Edinburgh and provides wine & spirits training throughout Scotland and the north of England. 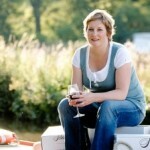 Claire teaches all WSET® courses up to and including the Level 3. In addition, the school holds a wide-ranging programme of short courses and events for all levels of interest and experience.